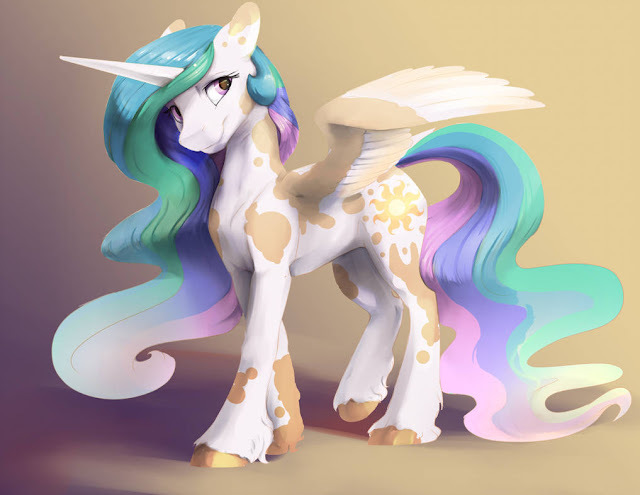 We had a spotted Luna some time ago so how about a spotted Celestia? 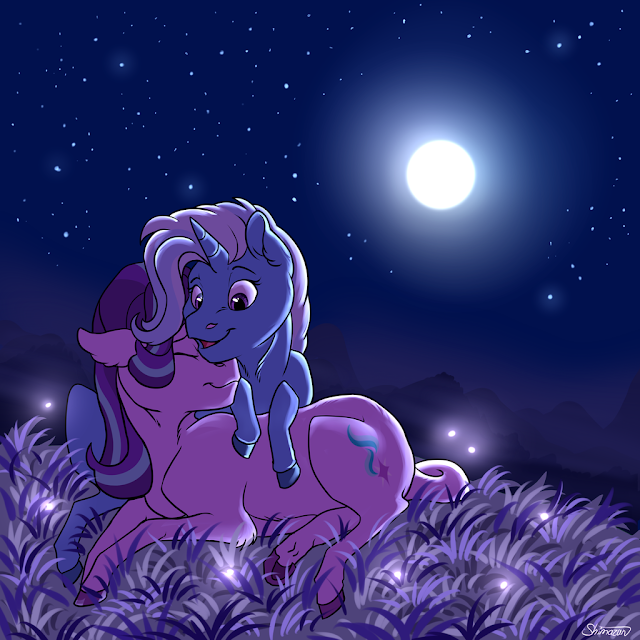 Cute, but I think that Luna was a little bit cuter with the spots. 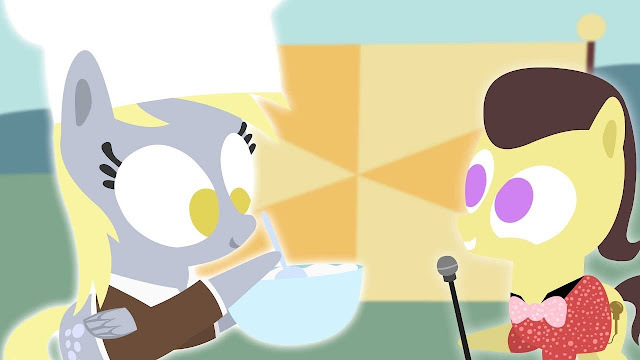 Paper derpy returns with another short animation, this time dedicated to her baking prowess. How will she do? Get it down below. This month is speeding by! But maybe it's not for you. 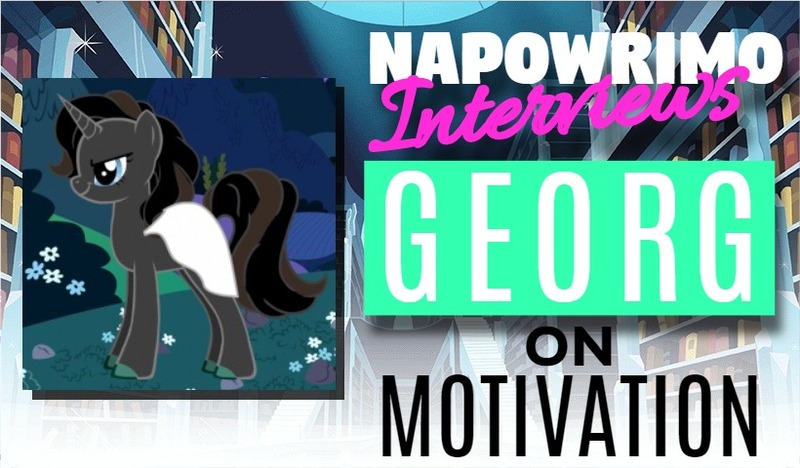 Maybe you're struggling to find the motivation, or your characters seem to be. Well, we've got popular fandom author Georg here to tell you all about what motivates him and how he figures out what motivates his characters! 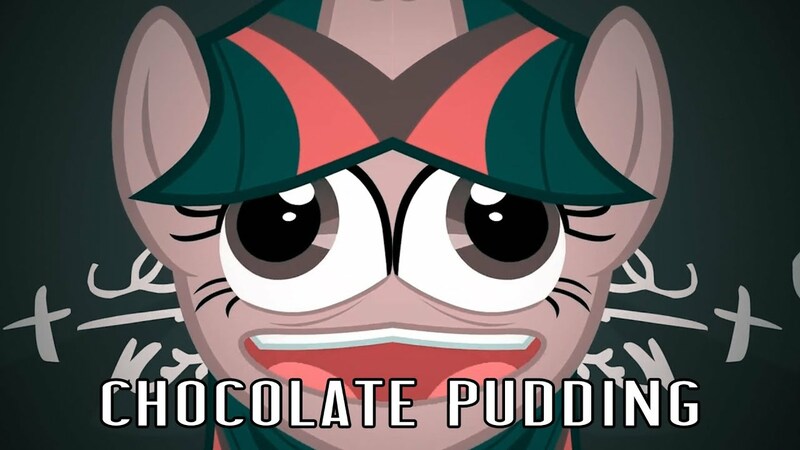 You have been assigned a royal guard mare for your stay in Equestria. Turns out Diamond Dogs are hunting humans to use as pets for revenge after they heard about how we used dogs here on earth.Where do you take her first? And get art below. Hopefully she doesn't click the hidden ones. She might get the wrong impression. I've been enjoying the occassional psytrance being produced out of the fandom lately so I'm glad to have some more, and this time from the relatively new Evgeniy Doctor. 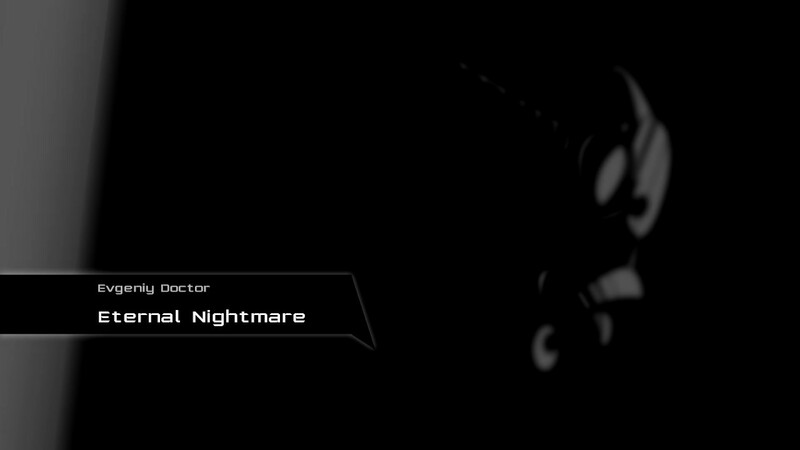 The nightmare moon theme fits the dark nature of the track and there's some great use of vocal samples in the track too. Check it out below! Comic dubs, get your comic dubs! We've got three today. Go watch below. Shuxer has done it again, this time with an awesome Desth Metal style Celestia, complete with all the awesome gothic gear. Check out the time lapse below! Some of these wallpapers have waited forever, so lets get a compilation going~ It's a little shorter than usual, but there aren't a ton of wallpapers to post these days. Start with some kirinposting, and get a bunch more below. 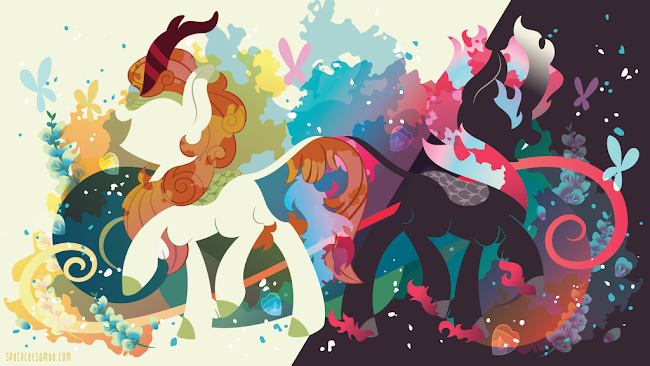 Hay Tea and Age Of Vinyl always manage to produce magic when they team up together so it's awesome to see them working together again. 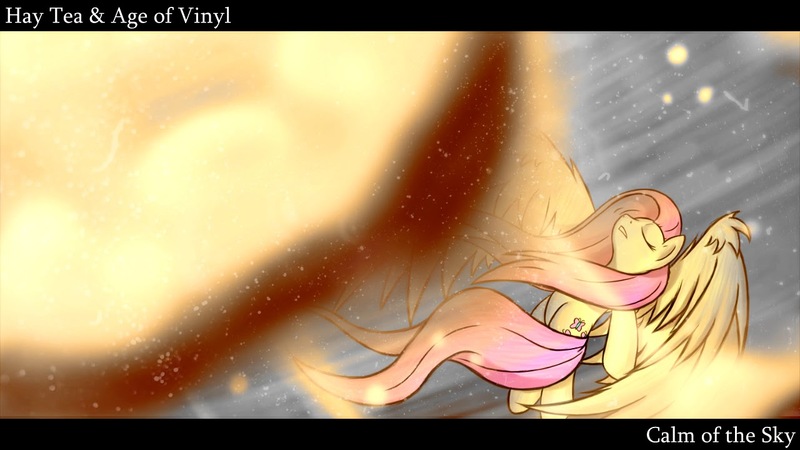 The smooth and blissful drum and bass feels here are perfect for Fluttershy flying through the sky. Check it out below! Got to admit that Trixie and Starlight's friendship is one of my favorite additions to the show as of late. They are just really cute together.